Horse S-Jointed Flexible Stirrup Irons. 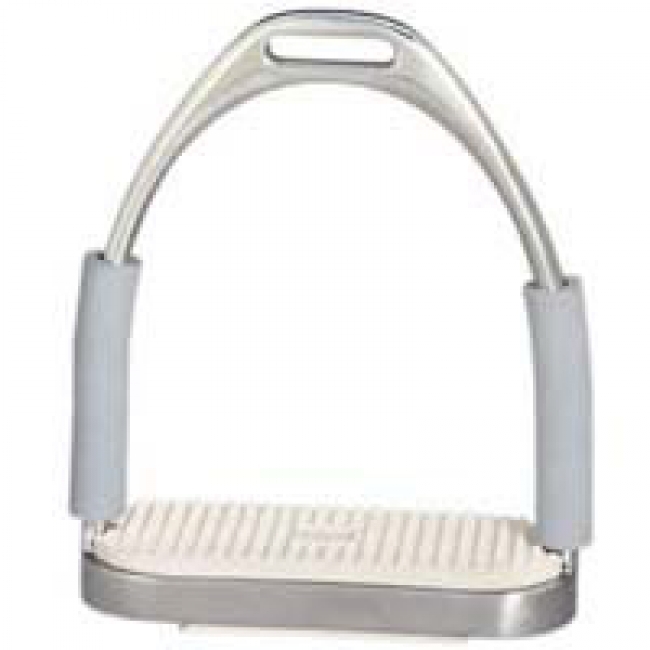 Double jointed stirrup irons for safety and comfort. Designed to prevent foot from becoming stuck after a fall. With rubber-covered joints, these stainless steel irons flex when downward pressure is applied through a rider's ankle. This flex gives a more secure and natural foot position while reducing fatique on joints and muscles. Great for any discipline or for anyone who spends a fair amount of time in the saddle. Sizes: 4 3/4" and 5"
Order one size larger as rubber covering reduces foot area by 1/4 inch.